Mahé is the main island of Seychelles in an archipelago of 115 islands. Here is Victoria, with its 26,000 inhabitants is one of the smallest capitals in the world. Victoria is also the only city and only port of the archipelago. Lively by day and quiet at night, when after 17, all shops and offices are closed and the streets are empty. 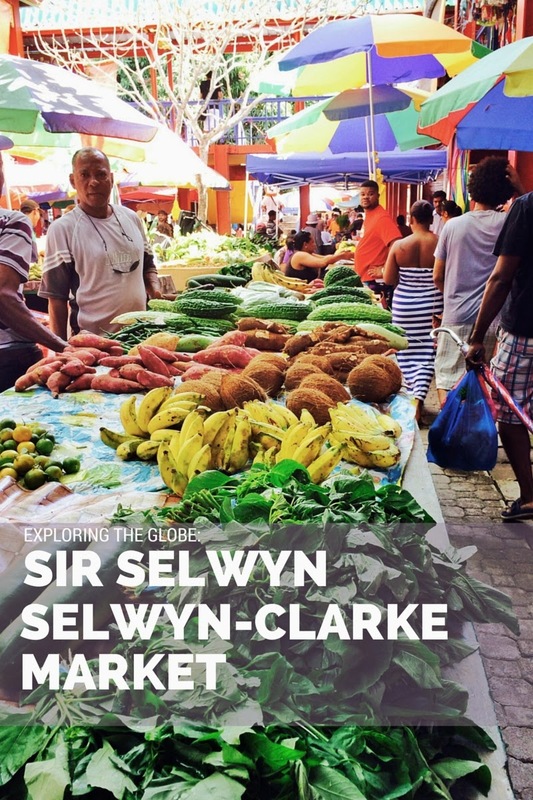 Life goes on in the early morning, when in Market Street (one of the few pedestrian streets), Sir Selwyn Selwyn Clarke Market tends to open. 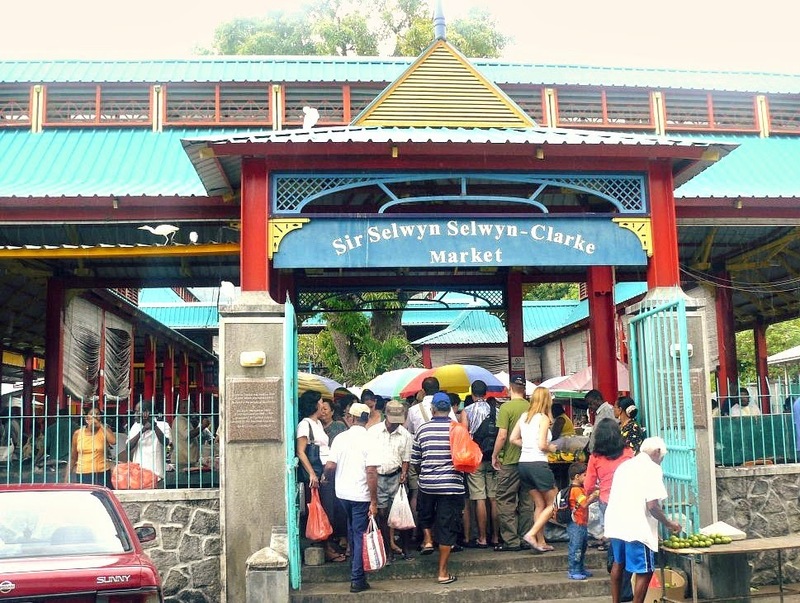 This market was built in 1840 and renewed in 1999. This is the most picturesque place of all the city and, at six o'clock in the morning, you can see all the colors of the island on the market stalls. Like all tropical markets, Victoria’s Market, represents a slice of local life which it would be a pity to miss. The market is especially interesting on Saturdays, when sellers come from all over the island of Mahé, loaded with flowers, fruits, vegetables, spices and fishes. Perched in mango trees, but especially near the fish stalls, the "Madam Paton," majestic white egrets, waiting for titbits of meat and fish. The market is a riot of colors: gaudy tropical fruits, vegetables and houseplants unknown. The stalls display a multitude of sweet smelling herbs ans spices, ginger, cloves, cinnamon, nutmeg, extracts and essential oils and the potent “mazavarou”: red peppers cooked in garlic, ginger and boiled oil, to take home to add a touch of Creole fire to your cooking. 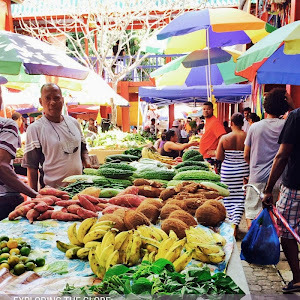 At the market you can also find the typical Seychellois cooking utensils, such as wooden pesties and mortars for herbs, metal coconut graters, colorful pottery and handmade buttons derived from the shells of coconuts. Wander among the stalls of this lively and colourful market means discovery new smell and taste as a wonderful experience. Curious attend the negotiations between sellers and buyers of fish and housewives at the end of the morning who trying to get a good price on the last catch of the day. 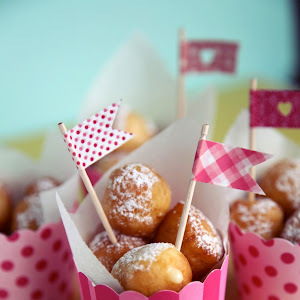 Something like this happens at our farmers markets and then again, I realize that people are the same the world over. Once again, I think when it comes to market trading there are no geographical boundaries. 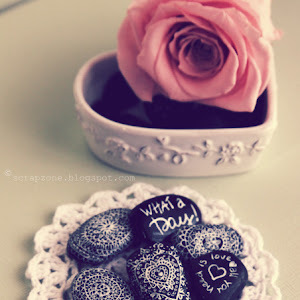 le foto di questo post me le sono letteralmente bevute.. che voglia di infilare due cose in uno zaino e partire su due piedi!! !